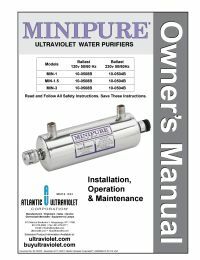 The Minipure series from Atlantic UV utilizes germicidal ultraviolet lamps that produce short-wave radiation that is lethal to bacteria, viruses and other microorganisms present in water. 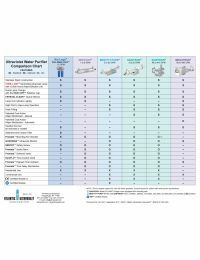 With ultraviolet disinfection there is no chlorine taste or corrosion problems, as well as no danger of overdosing with no addition of chemicals. 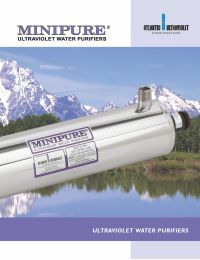 Minipure Ultraviolet Water Purifiers are the ideal solution for an ever growing range of water treatment applications.